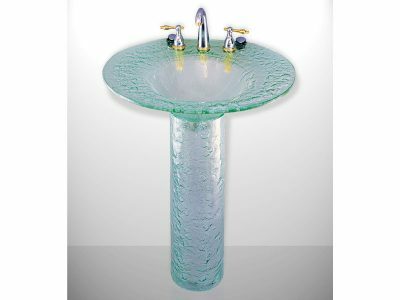 CBD Glass produces a variety of glass pedestal sinks. 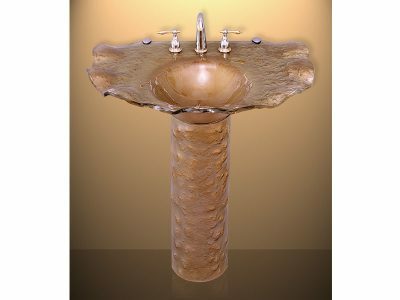 They are elegant, practical, and come in a variety of styles to suit any home or business, from classic to contemporary. 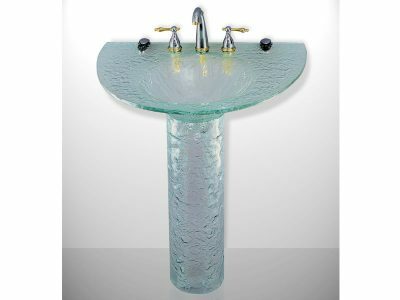 Just as our glass wall mount sinks, the pedestal sinks are great for smaller spaces, because they make the room appear bigger by opening up some floor space. 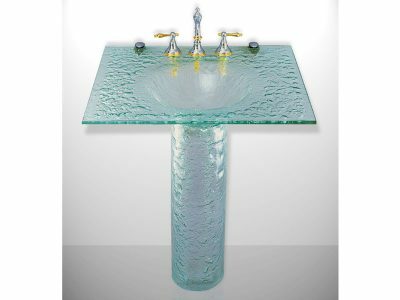 One of the biggest advantages to the glass pedestal sinks is that they conceal the plumbing. These will be great for customers that like the vanity-free bathrooms, but do not want to see any plumbing under a wall mounted sink. 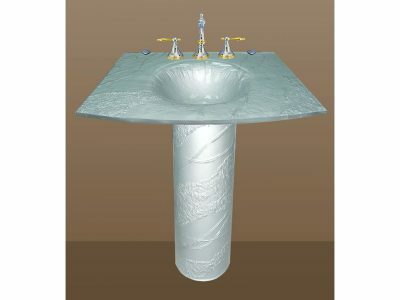 The pedestal sinks are a great way to freshen up your bathroom, open up some floor space to make it appear bigger. 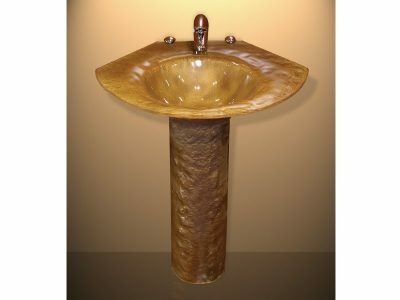 Also, with the help of glass as the sink material, the bathroom will appear brighter as well. 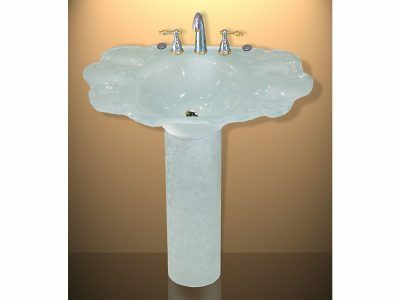 Glass pedestal sinks have a timeless design that will suit any bathroom/powder room’s style. When looking through our selection, please keep in mind that texture, pattern, pattern direction, color, etc. may be not exactly as shown due to individual process of each piece.